Some of the places are fortunate to be blessed with all-time pleasant weather and unmatched natural beauty. For such spots you need not plan, just pack your bags and go. Located at a distance of 350 km. from Delhi, Shimla is one such destination. 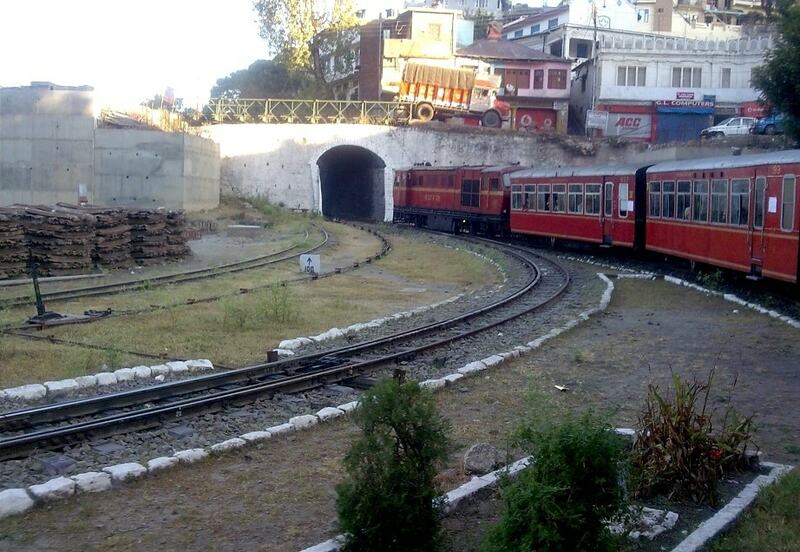 No doubt Shimla is always a preferred attraction in Himachal Pradesh for tourists from every part of the world. Once you land in Shimla, first spot to explore is the Mall Road. 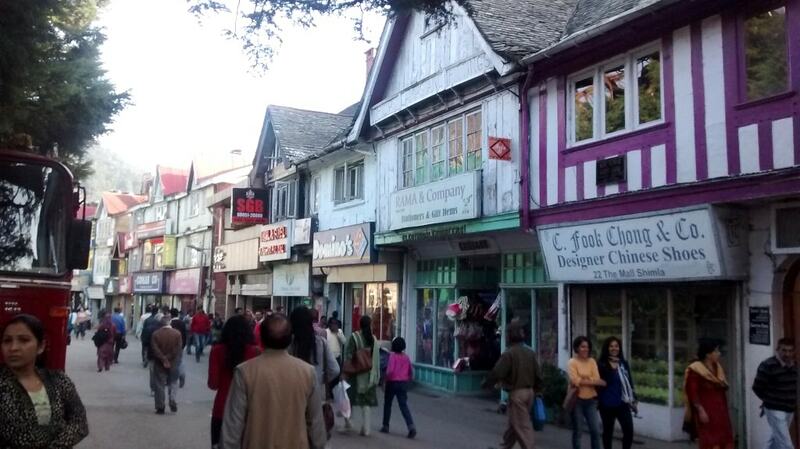 The Mall Road at Shimla is the most visited, most searched and perhaps the most blogged spot in India. Mall is a hub of social life and has amazing variety of cuisine from every part of the world, no doubt party never stops here. When it comes to shopping, Mall ranks prominent besides any other fashion street of the world. The location of Mall in the twists and turns of the mountains also provide an ideal venue for a leisurely romantic walk too. The Gaiety Theatre on the Mall is an imitation of an old British theatre and also serves as a centre of cultural activities. Other spots are State Museum on the Mall. One can use the passenger lift from the Cart Road to reach the Mall, vehicles are not allowed on the Mall Road. Lakkar Bazaar adjacent to the Ridge is popular for its wood-crafts and souvenirs. There is also a spot at Mall by the name Scandal point, from where you can click awesome views of the lavish natural wealth spread on the mountains. However, there is a story attached with the Scandal point - Maharaja of Patiala and the daughter of then Viceroy were madly in love with each other and both have eloped together from this point. As a result of this daring act, Maharaja of Patiala was forbidden to enter Shimla again. To retaliate Maharaja of Patiala made Chail his summer capital to much envy of British. Have to move on from Mall now as there other attractions in Shimla; Indian Institute of Advanced Studies, housed in the former Viceregal Lodge building: With old English architecture and attractive lawns, this is one of the most historically significant attraction in Shimla. Located at the Observatory Hill, Viceregal Lodge was built in 1888. The entry in the institute is by ticket. Viceregal Lodge was the summer residence of British Viceroy and the entire sub-continent was administered from here, usually from April to October each year. If you are driving yourself, please check about the route from local traffic police as some of the roads have been made one way and some of the roads are closed for certain time in order to manage traffic. After this splendid experience at Viceregal Lodge, it was the time to pray at JAKHOO Temple. 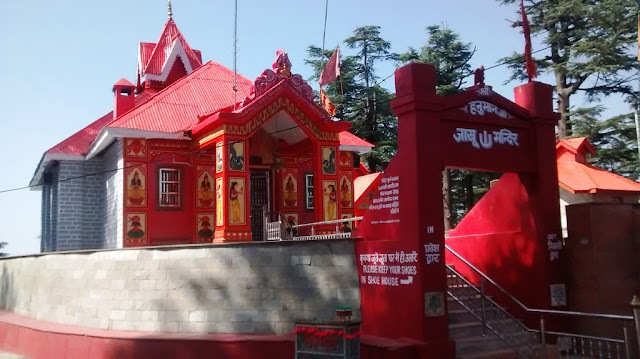 Dedicated to Lord Hanuman, Jakhoo temple is situated at the highest peak in the town. Get ready to shake hands with lot of monkeys in the premises. However, don’t worry monkeys will not trouble you at all and will accept anything you will offer to them. Start praying as soon as you step inside the temple, with sacred verses of Hanuman Chalisa painted on the walk way. Also the temple has world’s highest 200 ft. high statue of Lord Hanuman. The temple has connection with days of Lord Ram. It is believed that when Lord Hanuman was going to Himalayas to bring the Sanjeevani herb for curing Laxman, he stopped at this place to know about the Sanjeevani herb from sage Yaksh. Due to weight of Lord Hanuman, top of the hill had got flattened and half of the hill went inside the earth. Subsequently a temple was built around the place where feet of Lord Hanuman were spotted. Narrow approach road to the hill is a path where can relish the luxury of enjoyable walks and can have beautiful view of Shimla from here. There is another temple dedicated to Lord Hanuman, Sankat Mochan Temple. 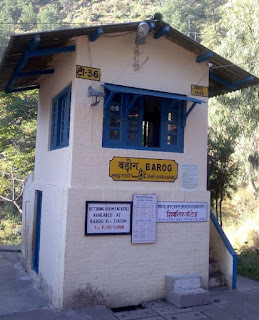 It is situated towards the outer side of Shimla on way to Kalka. It was dark when we reached this temple, however the illuminated temple at night did not disappointed us. Poor people can have free food on every Sundays. Continue further for around 11 km. towards Kalka Highways to reach Tara Devi temple. This is 250 years old temple and it is believed that Goddess Tara arrived here from West Bengal in order to protect this place. Located on a hill top, Tara Devi Temple provides some excellent views of the countryside. Other than mystic peace, one can enjoy 100% clean fresh air. Vow, every step and every lane is worth lifelong memories. To be honest I feel jealous about people who have got a chance to reside in this heaven. Now I understand why Shimla is so much sought after vacation spot, despite increasing population and traffic; charm of this place is still intact. Shimla is surrounded by pine, deodar, oak and rhododendron forests. After city tour, it was the time to get ready for next day trip to surrounding locations like Chail, Kufri, Mashobra and Naldehra to check deodar/ pine forests’ covered ranges, valleys with whispering water streams and swaying fields. Please keep one spare day for exploring outskirts of Shimla, before you leave for Manali.